Open Tins, Cans & Jars The Easy Way! Apparently tinned food, drinks cans, jars etc. are getting easier to open – with ring pulls and easy open tops… so why is it sometimes so hard to open them?!!! One good thing though is that there are now devices that make items much easier to open – which can be of particular use to anyone with arthritis or rheumatism. Caraselle has a wide range of products which are perfect for this use… such as the Caraselle Can Ring Pull. Like many of the products on the site, it’s not only really useful but also made in the UK. 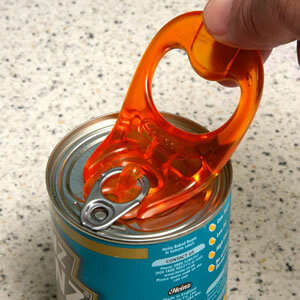 The Can Ring Pull will easily open Jars & Bottles and is ideal for those hard to open items. It’s a must for every household and particularly useful for those with arthritis &/or rheumatism. Available in Green, Orange and Red. Another great product is the Caraselle Jar & Bottle Opener, again made in the UK and will easily open Jars & Bottles, including those large drinks bottles. If you are one of the many who wish there was a device for making these large bottles easy to pour then you’ll be pleased to discover the Caraselle Bottle Pourer which makes pouring drinks so much easier – it’s yet another innovative product manufactured in the UK. Extremely easy to fit onto your drinks bottles & can be used by all your Family. 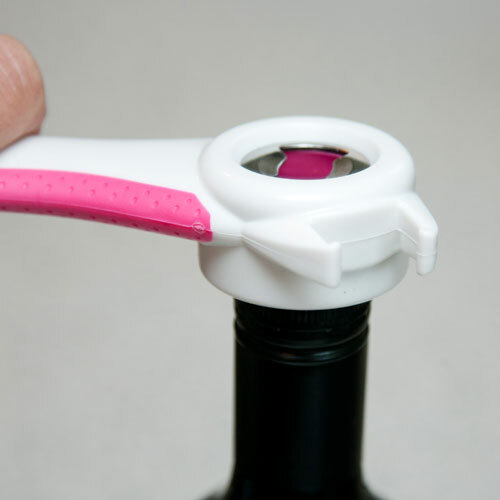 * Easy to Hold : excellent seals & balanced design making it easy to use. * Fits most plastic screw top bottles in the UK. Finally, currently on offer with 25% OFF is Caraselle’s Multi Opener for Bottle Tops, Jars, Drinks Cans, Ring Pulls & Screw Tops, a brilliant 5 in 1 product you’ll use every day!